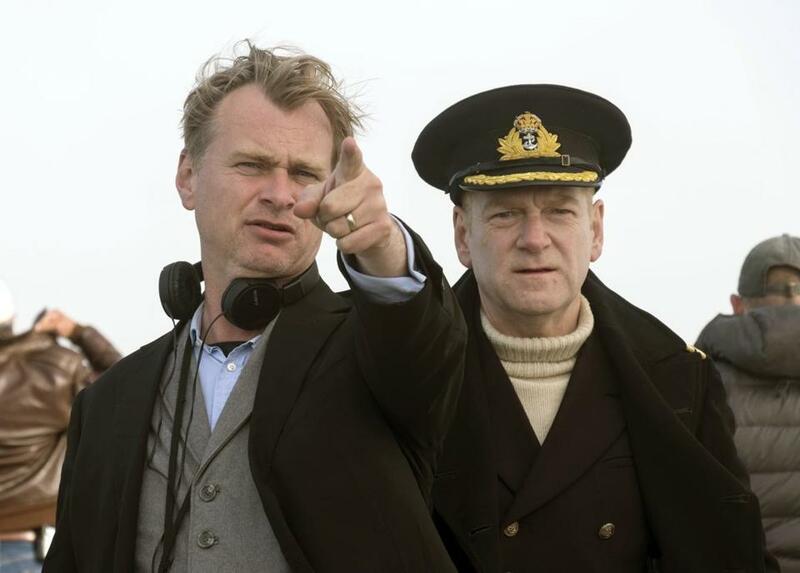 Directors like Christopher Nolan (left) are starting to ban cellphones from movie sets. It’s hard to imagine any corner of the planet where smartphones aren’t ubiquitous. But director Christopher Nolan is fairly certain that in the not-so-distant future, every movie set will be like his own: entirely devoid of phones and the zombified addicts they spawn. But should we take the word of a guy who doesn’t even own a cellphone? Maybe — because he’s not alone. Just as the wider world grapples with the habit-forming machinery sending us phantom vibrations from our pockets, a small number of directors are taking a hard line. At the moment, Nolan’s most vocal comrade is Quentin Tarantino. If others follow suit, it would drastically change the feel of movie sets where long stretches of downtime are conducive to constant, widespread Web surfing. Secondly, much like loud phones in theaters, an ill-timed ring on a movie set can really ruin the experience. ‘‘There’s nothing more frustrating than taking all the time to get the camera ready and get the actors prepared and get them in there and start shooting the scene and something [messes] it up that’s not directly in front of the camera,’’ said producer and assistant director William Paul Clark, who has worked with Tarantino in various capacities since the ‘‘Pulp Fiction’’ days. It’s one thing when a problem occurs in front of the camera — an actor flubs a line, for example — but a crew member’s cellphone going off is like an unforced error. On Tarantino’s sets, one person has the job of collecting phones at ‘‘Checkpoint Charlie’’ — ‘‘he’ll even charge it if you want,’’ Clark assured — so the rule is crystal clear. Oscar-winning cinematographer Robert Richardson — who is a frequent collaborator with Tarantino and Martin Scorsese, among others — prefers a cellphone-free set, but acknowledges certain benefits, including the ability to quickly share footage with other departments. ‘‘The makeup department can see the actress or actor in detail as can wardrobe, hair, production design,’’ he wrote in an e-mail while filming the Shailene Woodley movie ‘‘Adrift’’ in New Zealand. There’s no need to crowd the monitors when everyone has their own tablets and phones to see the shots. There are other practical reasons to keep phones on sets. While shooting ‘‘Landline,’’ director and co-writer Gillian Robespierre had a baby at home — and with babies come the potential for emergencies. She nearly laughed out loud when asked whether she ever thought about boycotting cellphones. Even though her movie takes place in the 1990s, she didn’t feel the need to force her actors to also pretend they were actually living in that era. Meanwhile, ‘‘Marshall’’ director Reggie Hudlin considered a phone ban but thought better of it. As a producer on ‘‘Django Unchained,’’ he saw the benefits, especially the bonds that happen when the cast and crew aren’t burying their noses in their text messages. Then again, he said the people who worked on ‘‘Marshall’’ grew just as close. Besides, the star of that movie, Chadwick Boseman, would not have been a fan. ‘‘It would be a problem for me,” Boseman said, not because he’s some kind of addict but because he uses his phone so often for work purposes. He writes notes and listens to audio clips from his dialect coach; he even queues up music from certain eras to get himself in the right head space. For Nolan, putting phones away is simply the next step in a natural progression. When cellphones were first getting popular, there wasn’t etiquette for how and when to use them. But over the years, the general population has started to find consensus on what’s socially acceptable.